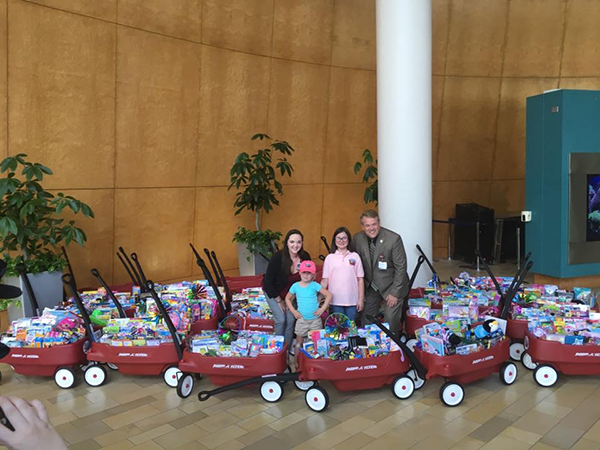 CHILDREN’S HOSPITAL DONATIONS – STARTED BY A 6-YEAR-OLD! Gracey was just six years old when she learned a schoolmate of hers, Julia Grace, was battling leukemia. 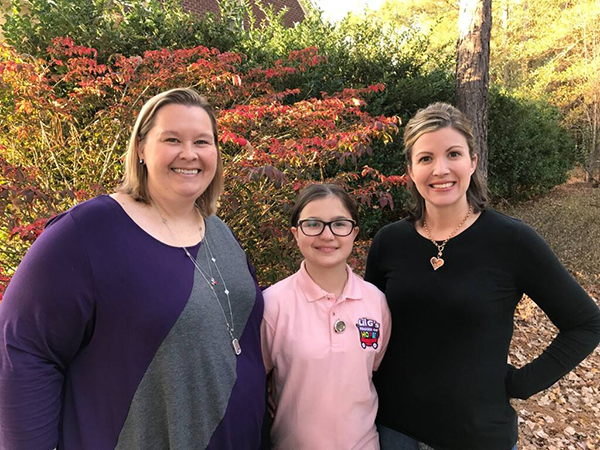 Gracey’s mom, Stacey Chafin (who teaches at Gracey and Julia’s school), had recently donated 16 inches of her hair (out of 17 total!) for a custom wig for Julia. 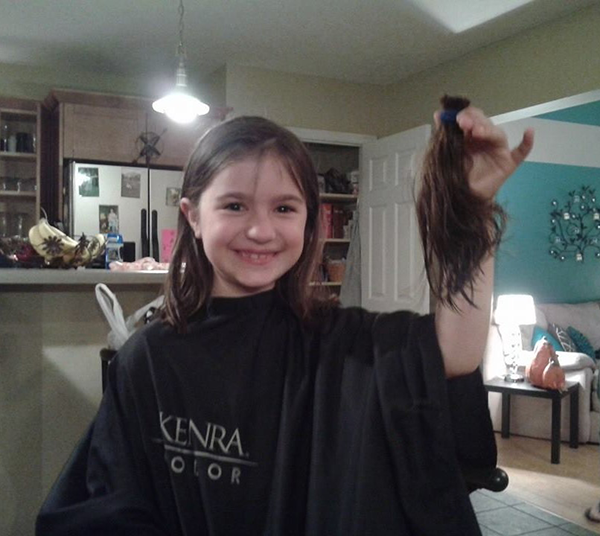 That inspired Gracey to donate her hair, too, but she didn’t want to stop there. Gracey wanted to brighten the lives of more children fighting illness and disease at the local children’s hospital. That’s when this little six-year-old started gathering donations – an effort that led to a foundation of her own, Lil G’s Wagons of Hope. With the support of her parents, young Gracey approached the Medical College of Georgia at Augusta University to ask for a list of needed items. Gracey then visited all the classes at her school, asking for donations. 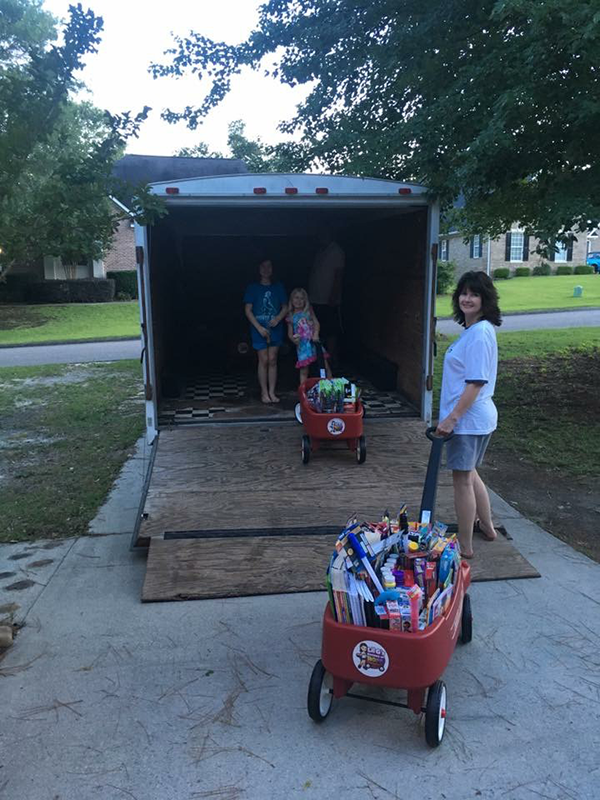 That year they gathered enough to purchase 15 Radio Flyer® Wagons and fill them with 1,800 items – everything from coloring books and markers to board games and DVDs. They delivered it all to the children’s hospital on Gracey’s birthday in June. 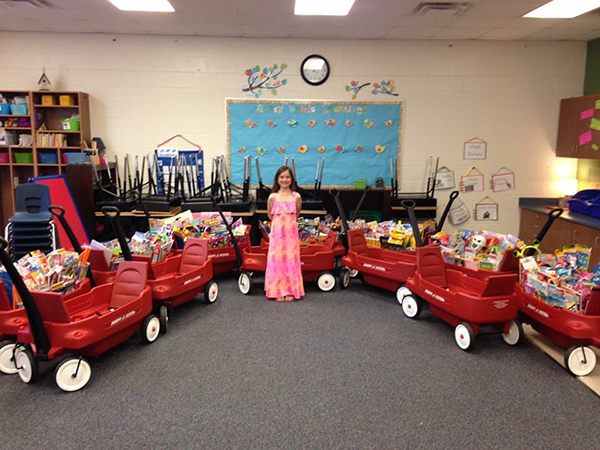 Every birthday since, Gracey has celebrated her special day by delivering larger and larger donations. “This last June, we had so many donations (37 wagons and over 5,000 items), we rented two big trucks plus a 25-foot trailer to deliver it all. It’s exciting to see all that goodness spread throughout the hospital. The wagons are shared between each floor, and the toys go to the game rooms and are distributed to individual patients as needed. It just keeps growing! Every year we have more and more adults come to this 10-year-old girl, asking what they can do to help,” said Stacey. Over the years, Lil G’s has garnered significant support from local businesses (including her family’s own restaurant, The Pot Smoker BBQ), and individuals far and wide (money comes in from as far as California and New York). 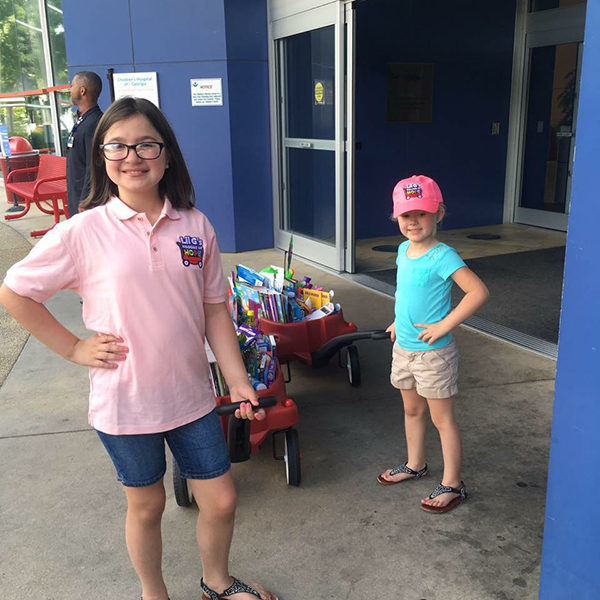 Now three elementary schools participate in the donations, and Gracey plans to continue the foundation as she moves on to middle school next year. We heard about Gracey’s impressive Force For Good effort from Designer Suzanne McClendon. Suzanne first connected with Gracey through Gracey’s grandma, a customer of hers. Suzanne has been so touched by Gracey’s work that over the past few years she’s gifted Gracey a Tagged Necklace that reads, “Inspire,” and most recently, Suzanne gave Gracey a Live Sparkly Living Locket set. We think Gracey is really special, too, and on behalf of the entire Origami Owl, we want to say thanks for thinking big … ever since you were so small! To find out more about Lil G’s Wagons of Hope, visit their Facebook group.